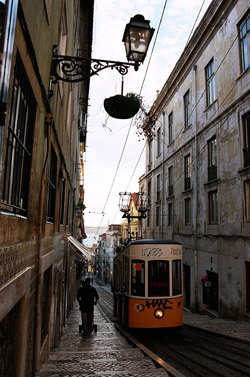 The mayor of Lisbon announced the beginning of a 700 million euro renovation of the historic neighborhood of Baixa. The central Lisbon neighborhood, built after the 1755 earthquake, consists mostly of 4-to-5-story neo-classical walk-up buildings. Once considered one of Europe’s most elegant districts, Baixa has been on the decline for decades. Over half of its residents have left since the 1950s.